Future developments and satellite launches. Polar Orbitirs - USA; Europe; ESA Sentinel mission. GeoStationary Satellites - Europe; China; Japan. Climate Change, Severe Weather Events, sea level rise,land use change are all elements that demand greater understanding of the earth environment. Observers require greater resolution from satellite sensors spatially, spectrally and temporally. Future satellites will be far more complex with many more sensors scanning the Earth far more frequently. This will require vastly increased downlink data rates and to accommodate this, some of the downlink frequencies need to be increased. The future is �all digital� � and is already here with MSG and MetOp! Current NOAA series � APT (analogue) 137 MHz band, HRPT (digital) 1.69 GHz band. NOAA 18����PM Secondary. Launched 20th May 2005 and is using 137.9125 MHz for APT downlink. HRPT 1707 MHz (good). NOAA 19����PM Primary. Launched 6th February 2009 and is using 137.100 MHz for APT downlink. HRPT 1698 MHz (good). Following major problems, �political,� funding, technical, management, reassessment of combining military and civil projects and the now splitting off of the two requirements � NPOESS is dead. However, NPP remains and owing to all the delays and fears of a US polar orbiting data gap, NPP was launched in Oct 2011. 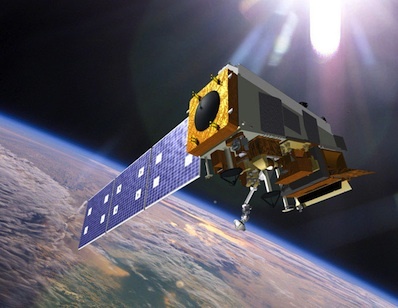 JPSS should have been/will be, the new generation NOAA polar orbiting satellite system but owing to NPOESS delays, JPSS-1 itself will merely be a clone of the NPP satellite. JPSS-2 [the first of the �new� generation�] is still under development. 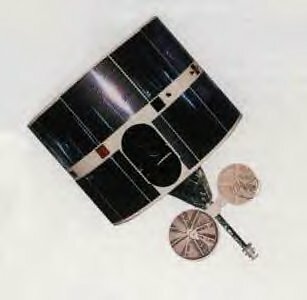 Artist's concept of the JPSS 1 satellite. Credit: Ball Aerospace and Technologies Corp.
John Tellick has been making enquiries as to what is known. He has come up with the following. "As I've suggested for ages, JPSS-1 will be a (sort of) clone (or what's left of the NPP projects hardware) of the current/belated NPP project. This of course was merely a flying test bed for the (now defunct) future NPOESS system. That was superceded by the JPSS project when 'it all went pear shaped' politically, technically and financially. It is suggested that the next polar orbiter will be a very scaled down version of what JPSS-1 was supposed to be. Additionally, time is running out for there not to be a gap in operational data." Ed Murashie provided the following link. "I am sure the General Accounting Office shares your concerns and here are their findings." If one reads this document carefully, there are concerns regarding Europe's ability to move to next generation Metop. The USA will not being able to supply some of the proposed sensors to be flown on EUMETSAT's 2nd generation polar orbiters. The European half of the current daily �NOAA� polar coverage. MetOp will transmit AHRPT � Advanced High Resolution Picture Transmission in the 1.69 GHz band. 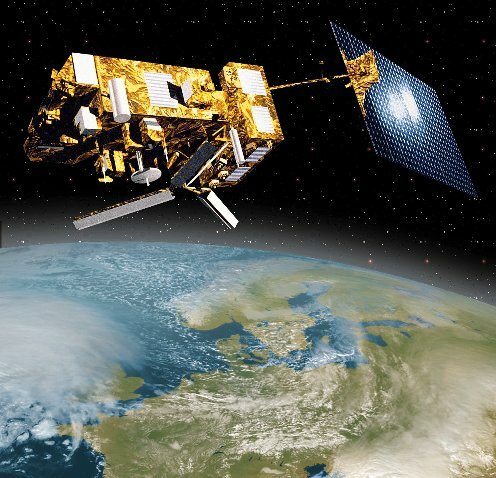 MetOp-A was successfully launched on October 19th 2006. PArallel Operation Satellite. MetOp-B was launched on September 18th 2012. Primary Operational Satellite. MetOp-C is planned for 2017. 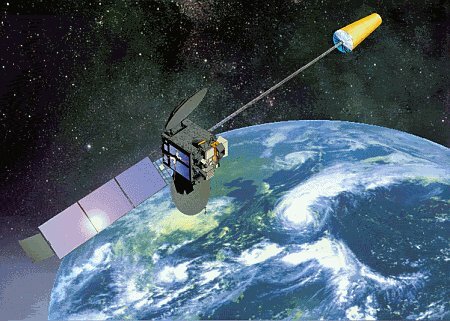 MSG-1 (Meteosat 8) Launched August 28th 2002 - back-up for Meteosat-10. MSG-2 (Meteosat 9) Launched December 21st 2005 - in RSS mode. MSG-3 (Meteosat 10) Launched September 2012. operational Satellite. MSG-4 Launch date to be notified. FY-2C(105 � E) Launched February 2005 - operational VISSR and LRIT. FY-2D Launched 2006 undergoing commissioning. (VISSR and LRIT). MTSAT-1R (140 � E) was launched February 2005 and is now operational. The high resolution dissemination channel is HiRID � High Resolution Imager Data � compatible with the S-VISSR format of GMS-5 but after about a year it will then timeshare/alternate HiRID with HRIT. The low resolution service is LRIT. MTSAT-2 Successfully launched 18th February 2006 and is now in standby mode following commissioning.